334 N. HOWARD STREET. 'BALTIMORE, MD. 8417 GEORGIA AVENUE. SILVER SPRING, MD. 7934 WISCONSIN AVENUE. BETHESDA, MD. Handmade from superb saddle leather. Plain or hand-carved Moral design. Contour cut for proper fit. If as removable buckle. Belt 3" wide through body, 5" at holster '^S loop. Leather-11 n- ~ e d . f a s t - d r a w shooting tie clown straps. Choice of 3 colors-black, at no extra cost. When ordering specify size, color, right or left handed, make and model of gun, caliber and barrel length. Allow extra length if belt is to be worn lower on hip. the score card. It is the same with the poacher's hat, even though what little he may have in the way of brains is very close to where your bullet went. The targets used for the hunting type shoots are the standard targets of the German Hunting Association, now in use with the Rod & Gun Clubs of the US Forces all over the country. They are so well liked by the GI's that their hunting pals back home should not be surprised to see them brought over by returning servicemen. A real hunting type shoot, like this one at Rhein-Main, is not complete with only the sounds of rifle shots. The program is finished by 15 shots of trap at 11 meters and the same number at 15 meters. A hit on a clay bird gives five points, and a clean 150 x 150 won the shoot. 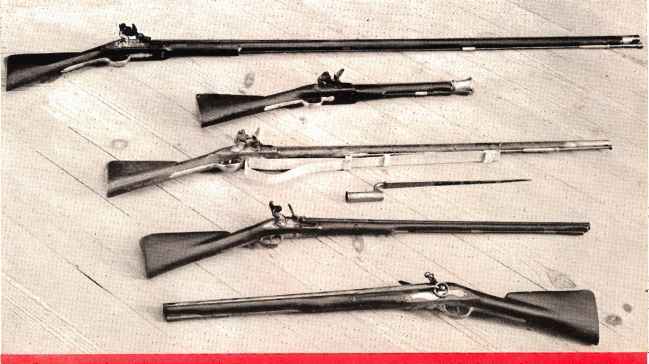 The guns in use with the Rod & Gun club members are interesting, in that many are of European make, but in American calibers. Needless to say, the little .222 Remington is a dandy for the hunting type shoot, and is very popular in various handloads. But many of the members bring their hunting gun, and both the .250 Savage and the .257 Roberts are rather common on the range. Some shooters even bring their .30-06 rifle, and load up with 130 to 150 grain bullets for less noise and recoil. Not that the babies mind the bang of the '06. They are much too used to hearing Ma and Pa compete on the range; but a nice light caliber is what every shooter wants when shooting for fun and training like this. Yes, babies and wives are there and, mind you, the gals can shoot. Shooting in the Rod & Gun Club is not only the men's game, and this is one of the many friendly sides of the club life. With the club house and the parking lot right at the range, the whole family can go a-shoot-ing, junior collecting empty shot-shell boxes (all cases go to the handloading bench, at least on the rifle range) and tiny few-weeks-old sister or brother sleeps in the car. Having finished the deer target, mother walks over to the car to find out whether her pride will sleep long enough to permit five shots on the wild boar. That Sunday afternoon on the Rhein-Main range, Olympic champ Art Jackson, who is a very active member of the club, scored 49 on the sitting fox. But Mrs. Jackson shot tens, a possible!